For the next month we’re going to be diving DEEP into the topic of mindset as it relates to designing the life and business you truly want for yourself. 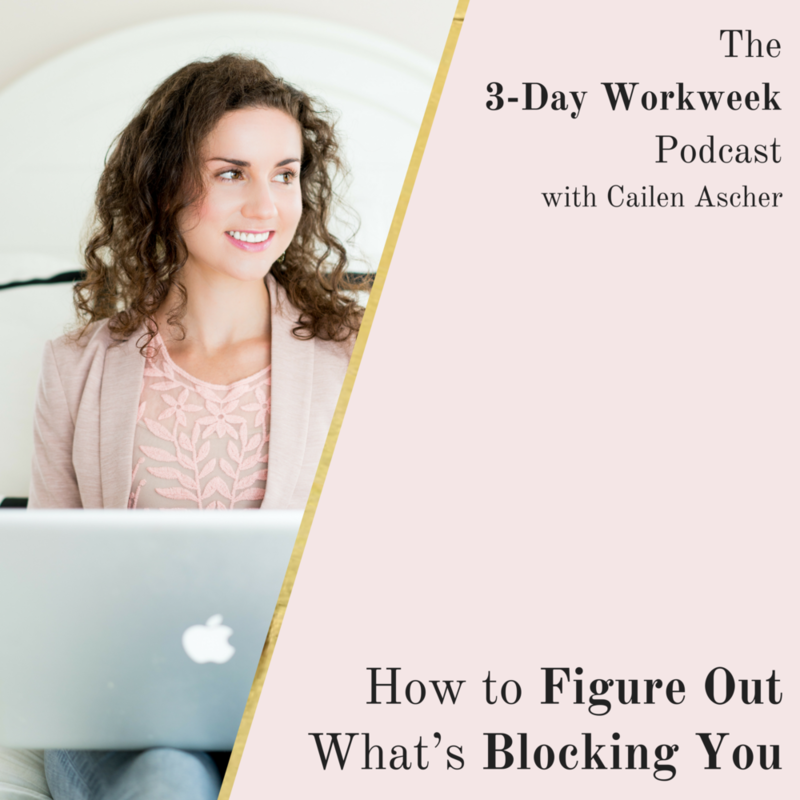 Because without addressing the mindset blocks that are currently tripping you up, there’s no chance at creating a successful 3-day workweek (or whatever is the ideal for you!). We’re kicking things off today with some important foundational work to figure out what’s currently blocking you so that in the upcoming weeks we can release those blocks for good. Ready to release your mindset blocks once and for all?! It’s time for the first step. The very first thing you need to do in order to figure out what’s blocking you is to become a student of yourself. Until you study yourself -- your self-talk, your habits, your thoughts, your patterns, your self-sabotage tendencies -- you won’t know exactly what needs to change or how to change it. What we think about, we bring about. Basically, we need to know what we’re thinking about so we know what seeds we’re planting. Step #1 on this journey towards your new and improved mindset is to simply become AWARE of your current mindset. Easy peasy. To help you with this, here’s a quick 3min audio that walks you step-by-step through this process so that you can figure out exactly what’s blocking you starting right now. Listen to that below. You see, by noticing the storylines that pop-up again and again, we can put some distance between ourselves and those negative thoughts in order to make room for NEW beliefs! Then, join me LIVE on Facebook today at 11:30am EST where I’ll dive even deeper into this topic and answer any questions you might have as you figure out what mindset blocks are in your way. Click HERE to add a reminder about that to your calendar now. My intention is for this month to be a truly transformative one for your mindset, your business and your life. I cannot wait to get started! P.S. Work on this today, and then next Wednesday I’ll show you how to transform these negative thoughts and storylines into powerful tools to help you fast-forward your path to success.